BLACKLIST is a series of public documentary film screenings and accompanying panel sessions thematically grouped around the significant societal and environmental challenges of our time. Themes include (yet are not limited to) Militarisation of Police, Automated Systems and Artificial Intelligence, Mass Surveillance, 21st Century Fascism, Over-consumption, The 6th Mass Extinction, Food Security and Climate Change. Each screening comprises a single newly-released documentary film and panel of experts and/or activists closely related to the (given) theme. It is the goal of this panel to address tensions, challenges and mitigation strategies following the screening, inviting debate and discussion to the ends of encouraging engagement. In short, Blacklist aims to bring attendees in contact with activists around themes already important to them, stimulating their own 'latent activist' to get involved toward the ends of enacting positive change. Blacklist is derived from its parent Black Sheep; the initiative of Ziya Tong, Black Sheep events comprise private, ad-hoc screenings to activists in cities worldwide. Blacklist is organised by (in first-name alphabetical order) Crystelle Vu, Julian Oliver and Manon Bernard. 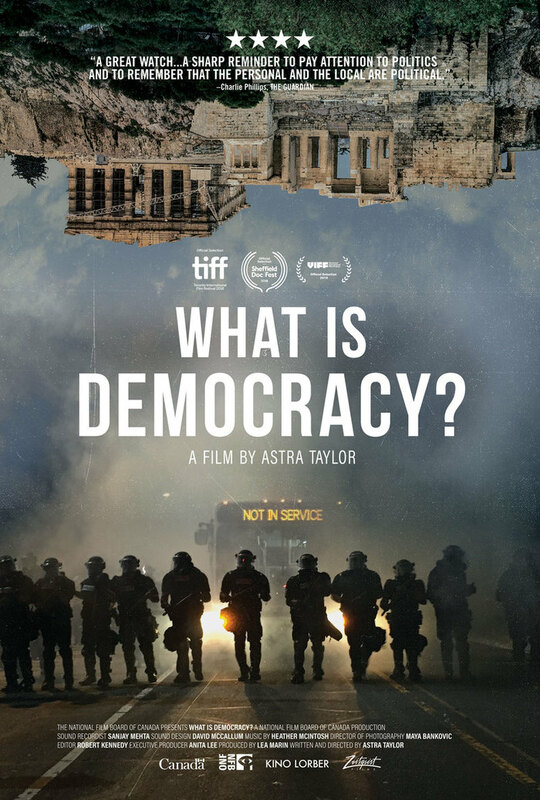 BLACKLIST #4 asks these questions in the context of the newly-released documentary "What is Democracy?" by director Astra Taylor (Žižek!, Examined Life). Moderated by Jean Peters artist and co-founder of culture jamming activist group Peng! Collective. The panel begins at 21:30 and will be held in English. We invite audience engagement in English, German and French. This event was organised by Crystelle Vu, Jean Peters and Julian Oliver.